T HE skills of future:gas attendees are high on the hit-list for Carrier Transicold, which contacted VASA asking for assistance in finding suitable technicians and businesses to help expand its Australian service operation. 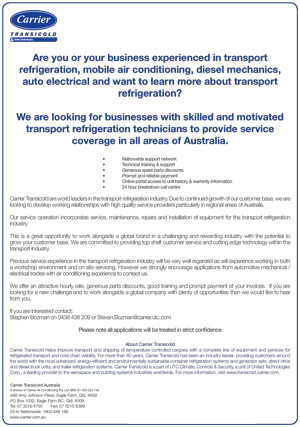 Although previous transport refrigeration service experience plus experience of both workshop environments and on-site servicing will help the case of applicants, Carrier Transicold is also very interested in hearing from technicians and businesses with a track record in mobile air-conditioning, diesel mechanical and auto-electrical. For successful applicants, the company is promising “attractive hourly rate, generous parts discounts, good training and prompt payment of your invoices”. Click here to download the Carrier Transicold proposal containing more information and application details. Missed out on future:gas Automotive 2016? All six future:gas presentations as delivered during the Brisbane automotive seminar in August 2016 are now online, with access available for just $10 accompanied by a SlideShare of the presentation slides. Last year, at future:gas seminars and in articles in industry publications such as VASA’s SightGlass News, the automotive industry was told about all of the moves to pass laws to phase down HFCs. There are developments. 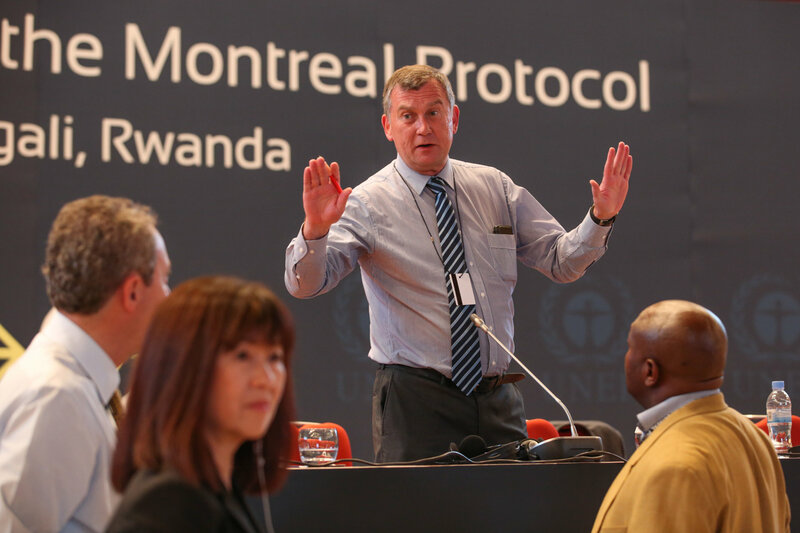 In October last year, the international community agreed the Kigali Amendments to the Montreal Protocol. As a result all countries will phase down HFCs, with developed countries reaching the target of an 85% phase down in 2036, and developing countries soon after that. The Australian Government is formally reviewing this new agreement and is expected to ratify it late this year. 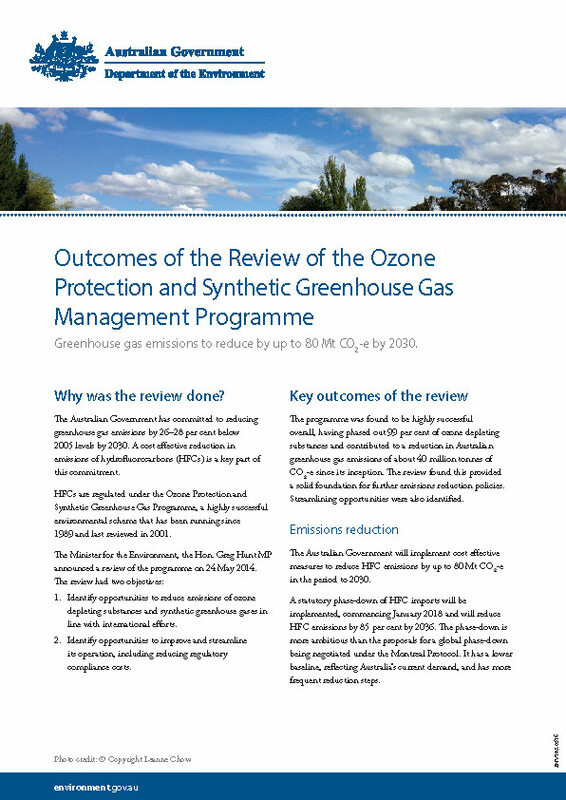 Of more relevance, the Government introduced amendments to the ozone protection legislation in March. This bill would see an immediate cut of Australia’s use of HFCs by 20% in 2018 and would have the same target in 2036. The bill is expected to become law in June. This legislation provides long term certainty. The transition from R134a to R1234yf and CO2 will occur. There should be a high degree of confidence that within the next decade all vehicles sold in Australia will have one of these new refrigerants. There is a problem, however. The HFC phase down in Australia relies heavily on the transition away from R134a in motor cars. It is a sizeable component of HFC consumption and as outlined above the alternative technologies are already available. The initial assumption is that the transition would be speedy as R134a is being banned from use in cars in Europe and the US. The problem is that those companies that have two or more production lines for right hand drive cars are keeping at least one of them dedicated to R134a. 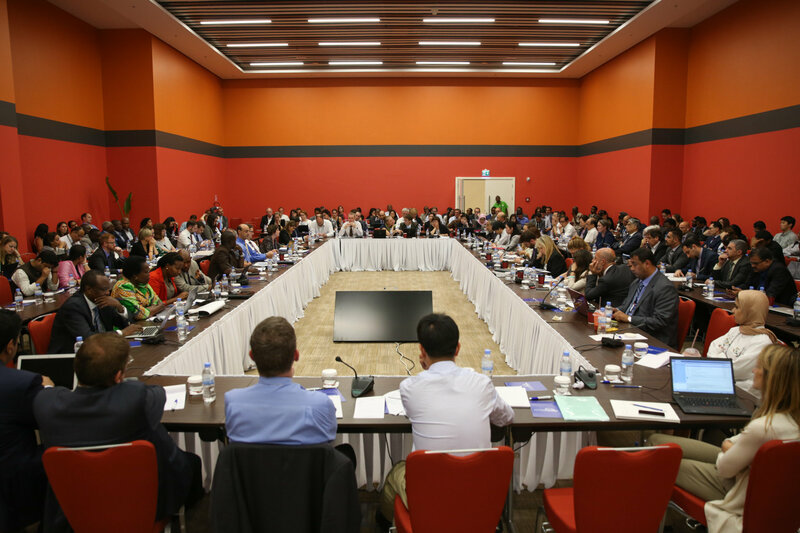 The rationale is that they will not introduce a more expensive technology (R1234yf or CO2) to developing countries until at least the middle of the 2020s, when their commitments commence under the Montreal Protocol. The car companies have obviously decided if they can continue to provide cars to the Australian market that use R134a they will do so and keep their prices low. The new legislation will provide the Government with the levers to fix this problem. They will obtain the authority to develop and implement a regulation that would outlaw the use of any refrigerant with a GWP above a particular level from a given date or for a particular use. We would recommend that the Government pass a regulation stating that all new vehicles sold in Australia from 1 January 2020 must have a refrigerant with a GWP of no more than 150. This regulation would provide certainty that Australia could meet the phasedown, it would provide industry with clarity on when new technology would enter the market, and it would enable the education and training necessary to be planned and rolled out efficiently. It is not yet clear whether a regulation like this will be forthcoming. We will keep asking and keep future:gas subscribers abreast of future developments. One thing is clear, though. This HFC phase down is unlike the R12 ban of the 1990s. There will be no retrofitting this time around, as R134a will remain available for servicing of existing systems long into the future. This means the remaining few R12 cars will occasionally appear in workshops, with the R134a vehicles we know and love being joined by those using R1234yf and R744. TWO free seminars will take place at the Australian Automotive Aftermarket Expo to provide an overview of the new industry standard air-conditioning refrigerant R1234yf, which is now replacing R134a globally. Delivered by VASA, a supporting association of the Expo and peak body for the Australasian automotive air-conditioning, electrical and engine cooling industry, the hour-long information session will take place at 10.30am on Saturday April 8 and be repeated at 2.30pm the same day. Topics covered will include the history and evolution of automotive refrigerants, the drivers of change including ozone depletion and global warming potential, how industry has responded to overseas legislation controlling HFCs, a comparison of current and new refrigerant characteristics including flammability, changes to equipment, components and working procedures brought about by new refrigerants and the related standards, licensing and legislation. Included in the sessions will be the opportunity for questions and answers. The information provided in these free seminars is intended to help prepare automotive repair businesses, including smash repairers, for refrigerant changes under the title: “Life After R134a”. If you service, repair or recommission automotive air-conditioning systems, now is the time to act. VASA member workshops report that a growing number of brands are already importing vehicles using R1234yf and insurance companies are interested in building a database of businesses equipped and trained to handle the new refrigerants. Session times and location: 10.30am and 2.30pm on Saturday April 8 in Hospitality Suite 1 at the Australian Automotive Aftermarket Expo, accessed via the organiser’s office within the Melbourne Convention and Exhibition Centre. Those in the automotive business also operating in the stationary sector will benefit from attending future:gas 2017 and those who know people working with stationary equipment are encouraged to spread the word. A separate email newsletter has been set up for the stationary sector, which you can sign up to at www.futuregas.ac and be notified as soon as online bookings go live. Like last year, tickets will be available online priced at just $10, which is heavily subsidised to ensure the maximum number of people can attend. The seminars will also have the same mid-week evening format as in 2016, with attendees again benefiting from the knowledge of respected experts delivering content designed to prepare the industry for current and upcoming refrigerant changes, including systems and equipment entering the Australian market filled with or designed for new HFO, CO2, NH3 and HC refrigerants. More details will be published when they become available. If future:gas 2017 is relevant to you or people you know, please be sure to sign up to the newsletter. 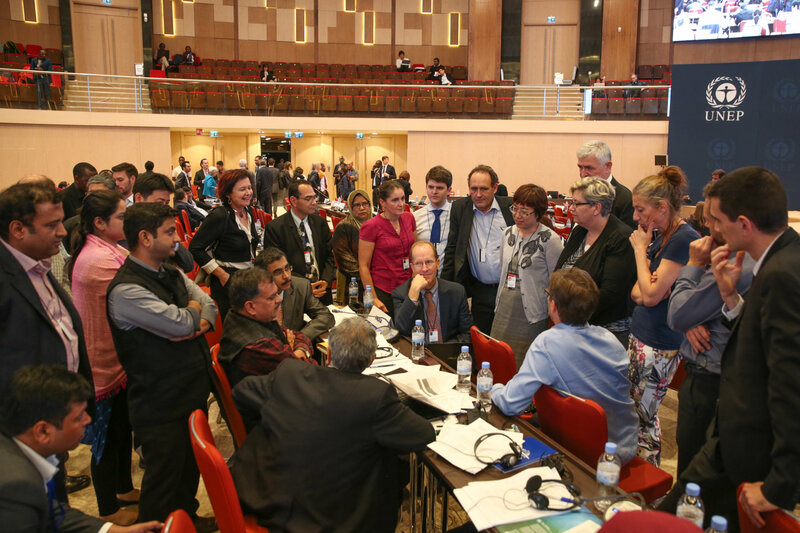 ALMOST 200 countries forged a historic agreement to phase down HFCs, such as R134a, under the Montreal Protocol at the weekend. 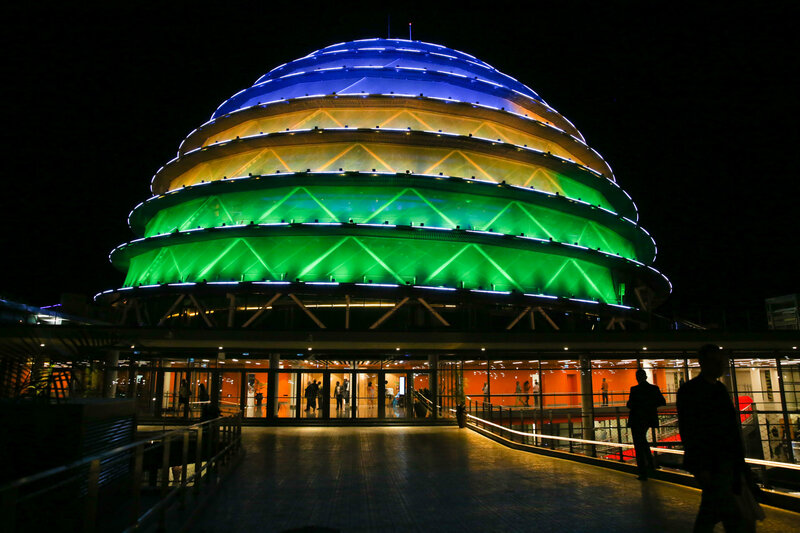 The deal was stuck on the sixth day of the 28th Meeting of the Parties to the Montreal Protocol on Substances that Deplete the Ozone Layer, held in Kigali, the capital of East African nation Rwanda. 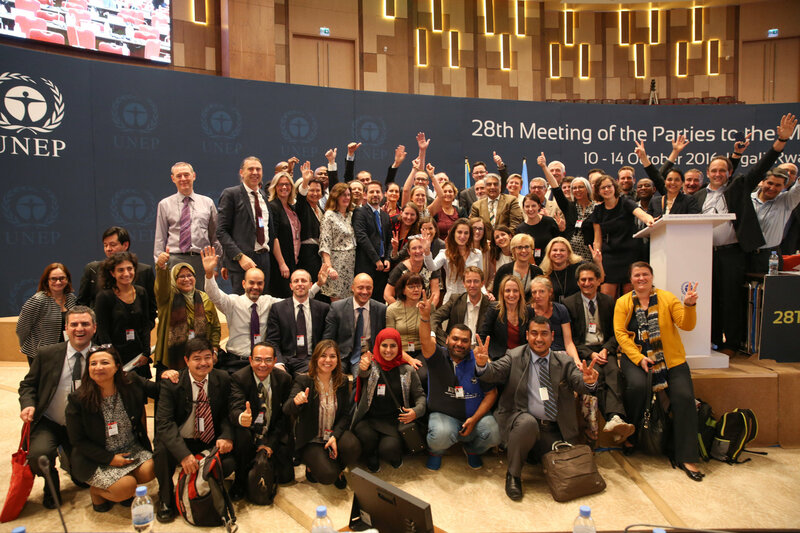 It was the climax of a seven-year negotiation process between the 197 Montreal Protocol parties that agreed to phase out the use of ozone-depleting CFC and HCFC products and set the ozone layer on a path to recovery by the middle of this century. An estimated 70 million tonnes of carbon dioxide equivalent emissions will be prevented by 2050 under the pact, which is said to be enough to prevent 0.5 degree of global warming. 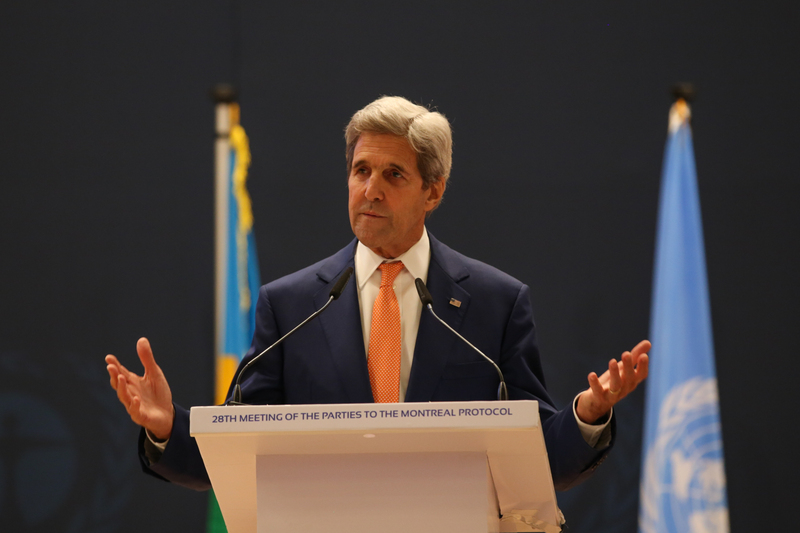 o have a 0.5-degree centigrade reduction by taking one single step together as countries – each doing different things perhaps at different times, but getting the job done,” said Secretary Kerry. Such a drawn-out process inevitably resulted in a compromise, which will see most developed countries begin to phase down HFCs by 2019 while developing countries will follow with a freeze of HFC consumption from 2024 and begin reducing usage from 2029. For Belarus, Russia, Kazakhstan, Tajikistan and Uzbekistan a slightly delayed version of the developed country schedule applies. A handful of countries including Bahrain, India, Iran, Iraq, Kuwait, Oman, Pakistan, Qatar, Saudi Arabia and United Arab Emirates – all of whom have long occupied the anti-phase-down camp – will freeze HFC consumption in 2028 and start cutting down from 2032. Concessions to these nations to get the deal over the line while President Obama is still in the White House has drawn criticism from environmental groups such as Greenpeace, which question the 0.5-degree claim will ever be realised. However, other commentators such as the Institute for Government and Sustainable Development say the global nature of the phase-down will ensure market forces help sweep the changes through the slower-acting countries. The baseline calculations against which the phase-down schedules are measured also vary. In Europe, where the phase-down commenced with a consumption freeze last year and the first reduction this year, the baseline is taken from average usage between 2009 and 2012. Other developed countries including Australia and New Zealand have a baseline taken from average consumption between 2011 and 2013, while the baseline for the majority of developing countries is based on consumption between 2020 and 2022. The rest of the developing countries have a baseline based on 2024-2026 averages. Europe’s head start means it will have cut HFC consumption by 27 per before the rest of the developed world even gets started in 2019. However, as the year 2050 draws near, all countries should be consuming no more than 15-20 per cent of their respective baselines. 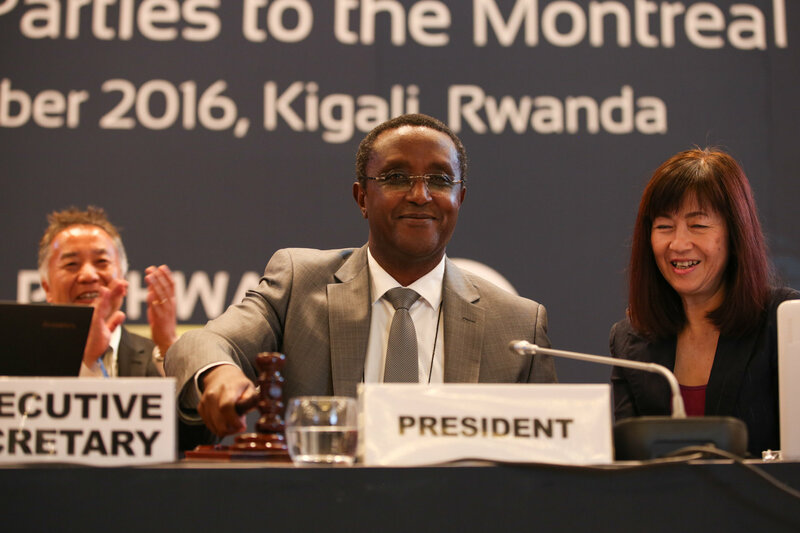 The global HFC phase-down agreement will be named the Kigali Amendment and talks on how to fund the reduction in HFC use will commence next year in the Canadian city after which the Montreal Protocol was named. Article reproduced from VASA with permission. If you are a future:gas ticket holder, your $10 investment just got a lot more valuable because the Australian federal government has just announced it will introduce a statutory phase-down to imports of HFCs (such as R134a) from January 2018. The government has singled out automotive and domestic air conditioners that use HFC refrigerants as equipment that could be subject to import bans. What does this mean for you? Now this legislation has been announced, the steady flow of vehicles already coming onto the Australasian market fitted with R1234yf air-conditionng systems will increase rapidly and keep accelerating once the phase-down kicks in at the start of 2018. The adoption in this market of models using R744 (carbon dioxide) systems will also be quicker. Remember, the first cars using R1234yf arrived in Australasia back in 2014 and their numbers have been growing ever since. Nobody knows for sure which makes and models are using it, because it often varies across the variants in each manufacturer’s range. For example, petrol versions of a certain model might use R134a while diesels use R1234yf, or it might be the difference between those specified with manual AC or automatic climate control. This makes it all the more important to be ready for that first R1234yf vehicle that your business encounters. You don’t want to turn that business down for lack of equipment or knowledge. Being R1234yf-ready also gives you that point of difference among your competitors, opening up the door to servicing, repairing and recommissioning AC systems on late-model vehicles on behalf of smash repairers and dealerships. The Australian phase-down is one of the world’s most ambitious, with a target of reducing HFC emissions by 85 per cent by 2036. Australia will join the United States, European Union and Japan in leading the world towards a significant reduction in high global warming potential products such as R134a. As a future:gas ticket holder, you are better placed than most to be prepared for and to take advantage of this important shift. If you don’t yet have your ticket, please hurry as some venues are close to capacity. VASA and Refrigerants Australia have welcomed the Government’s announcement that it will legislate a phase-down of high global warming potential (GWP) HFC refrigerants under revisions to ozone protection legislation. The Government has flagged the automotive air-conditioning industry as one sector where it would like to see rapid technology change. It will consider regulating to ensure the existing industry standard refrigerant, R134a, is phased out of use in new vehicles over the next few years. As is taking place in the European Union and United States, the HFC phase-down will accelerate, and eventually mandate, the switch to low-GWP refrigerants in the air-conditioning systems of new vehicles. In fact, a growing number of vehicles imported to Australia from markets where a phase-down is in place are already on Australian roads and the end of local car manufacturing in 2017 will add momentum to the uptake. 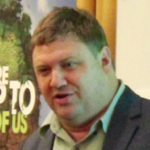 With these changes in mind, VASA, Refrigerants Australia, Refrigerant Reclaim Australia and the Australian Refrigeration Council have prepared a seminar series about these technologies called Future:Gas. These seminars will be rolled out across Australia and New Zealand in July and August this year, designed to educate people working in and around the business of selling, servicing and repairing automotive air-conditioners on how they need to prepare for the arrival of new refrigerants in terms of equipment, training, working practices, occupational health and safety and understanding new standards. VASA, the peak body for the automotive air conditioning industry in Australasia, along with Refrigerants Australia, Refrigerant Reclaim Australia and licensing body the Australian Refrigeration Council, identified a need for a seminar roadshow designed to inform and educate thousands of technicians and businesses about the new refrigerants and technologies they will soon be encountering. This industry-led initiative is called Future:Gas and will deliver seminars about these new technologies and the reasons they came about at locations around Australia and New Zealand in July and August this year. Conveniently timed on mid-week evenings with entry priced at just $10, Future:Gas seminars are designed to be as accessible as possible to those working in automotive air-conditioning. Attendees to Future:Gas seminars will be among the first in Australasia to receive a comprehensive overview of the new-generation automotive industry-standard refrigerants in one knowledge-enhancing evening. Created by industry, for industry, the future-gas initiative is thought to be the first of its kind in the world. Much of the automotive sector lacks awareness or is confused by conflicting messages or misinformation about the new automotive air-conditioning refrigerants R1234yf and R744, so there is a pressing need for this campaign of seminars, which will be made up of presentations from highly credible sources. Among the target audience are main dealer workshops, the panel repair industry and aftermarket repairers. Tickets are available from www.futuregas.ac through a secure online booking system. Spaces are limited, so early booking is advised. Since the ozone layer damaging CFC refrigerant R12 was phased out in the mid-1990s, the only refrigerant used by vehicle manufacturers has been R134a. With climate change now on the agenda, vehicle air conditioning systems using R134a are becoming a thing of the past because R134a is around 1300 times more potent than carbon dioxide as a greenhouse gas if released to the atmosphere. For comparison, R12 is 10,900 times more potent than carbon dioxide as a greenhouse gas, in addition to destroying stratospheric ozone. Both R1234yf and R744 are ozone-friendly and have global warming potential of below or equal to carbon dioxide. Much of the global automotive industry has adopted R1234yf as the standard refrigerant in new cars, primarily due to tightening overseas legislation over the global warming effect of refrigerants released into the atmosphere. Unlike the switch from R12 to R134a there will be no need to change existing air conditioning systems over to R1234yf, because R134a will continue to be available for servicing older equipment. Due to similar thermal properties between R134a and R1234yf, faults with systems using the new refrigerant can be diagnosed using the same methods as R134a. R1234yf carries an ASHRAE rating of A2L (mildly flammable) and is subject to Dangerous Goods class 2.1 handling and transportation requirements. However R1234yf is not easily ignited and struggles to sustain and propagate a flame compared with A3 (highly flammable) rated refrigerants available to the aftermarket but never used or approved by OEMs. 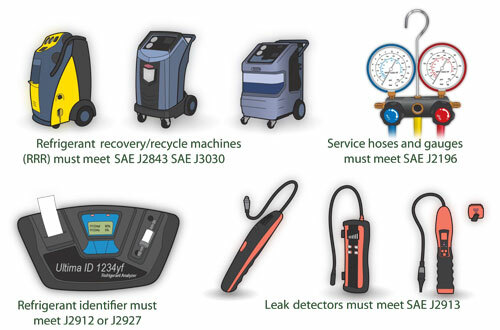 To ensure safety, new SAE standards apply to the quality of system components and the equipment used to service R1234yf systems. Some equipment is rated as compatible with both R134a and R1234yf and some equipment is suitable only for R1234yf. Mercedes-Benz parent company Daimler and Volkswagen Group have developed systems using a carbon dioxide as a refrigerant (named R744) that will initially be used for high-end vehicles. R744 requires operating pressures up to ten times higher than R134a or R1234yf and therefore additional considerations around safety and working practices. 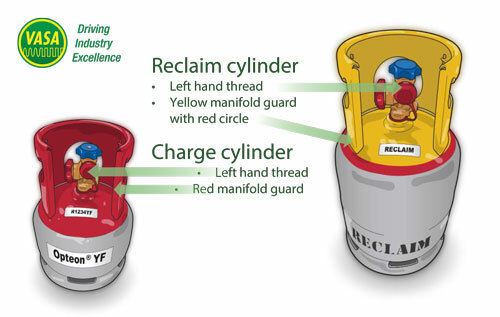 Like R1234yf, working with R744 will require new service equipment meeting the relevant SAE standards, as well as technical training about the major differences. Although it has been used for some time in stationary equipment, getting R744 systems to work for automotive applications has been a significant engineering challenge, with unique components and system layouts required for this refrigerant. future:gas is pleased to announce that Waipuna Hotel & Conference Centre will host the New Zealand leg of the automotive air-conditioning refrigerant seminar roadshow. The Auckland seminar will take place on Wednesday August 10 in the Carbine room of Waipuna Hotel & Conference Centre, located at 58 Waipuna Rd, Mt Wellington, Auckland 1062, New Zealand. Doors will open at 5pm (venue local time) for a 6pm seminar start and each seminar ends at 9pm, followed by doors close at 10pm. The hour each side is to allow time for registrations, to browse the equipment and education displays, and for question and answer sessions. There will also be a mid-way break with question and answer session plus time for refreshments and to browse the equipment and education displays. future:gas is pleased to announce that all venues for the Australian leg of the automotive air-conditioning refrigerant seminar roadshow are confirmed. Doors open at 5pm for a 6pm seminar start and the seminar ends at 9pm, followed by doors close at 10pm. In the list below, each venue title links to a Google Map of its location. All six future:gas presentations as delivered during the Brisbane automotive seminar in August 2016 are now online, with access available for just $10 accompanied by a SlideShare of the presentation slides. Be the first to know when more future:gas seminars are scheduled!